Live in the center of it all! This two-bedroom, two-bathroom CONDOP (Coop with Condo rules) has a very functional layout. The living room opens to the dining area and can fit a large dining table perfect for entertainment. Both bedrooms are spacious and are set back against the northern side of the apartment, providing a peaceful retreat. The master bedroom has a en-suite bathroom and a large walk-in closet. The apartment has great closet space and the kitchen is spacious. The Hawthorne is a co-op with condominium rules. There is NO BOARD INTERVIEW and the unit is available to sublet immediately after purchase. The Hawthorne features a full-time doorman, live-in superintendent, pet-friendly (pets under 35 lbs. are welcome), central laundry, caged storage, and a bike room. Enjoy the lovely sun deck with lounge chairs with amazing city views -the legendary Lipstick Building is next door. 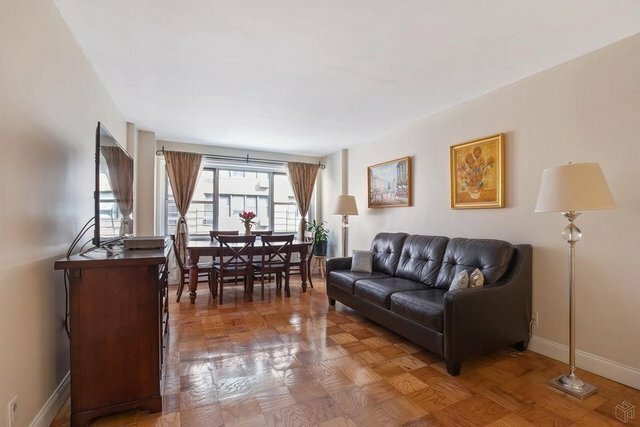 Located on a residential street in the heart of Midtown East with great shopping and restaurants. Major grocery stores such as Whole Foods, Morton Williams, and D'Agostino are nearby. Neighborhood gyms include Equinox, Blink Fitness and Soul Cycle. Parking garages conveniently located (not affiliated with the building). Easily accessible by E, M, 6 trains within close proximity to the building, and the N, Q, R, 4, 5 lines are only minutes away. Enjoy the convenience of city living in one of the most desirable buildings in the neighborhood. Welcome to your new home!